Our garden didn't rock it quite as much as we thought it would this year. This is due to (1) miscommunication, (2) me having no clue what I'm doing, (3) life, and (4) please see number 2. It's okay though. We'll get it next time. And the good news is that we still have lots of tomatoes, peppers, onions . . with a few little broccolis and a handful of sweet corn and some lettuce tossed in for good measure. Our saving grace has been kind family members who have loaded us up with potatoes, zucchini and sweet corn. Because my husband eats fruits and vegetables like they are candy, I always scour Food Network Magazine (Thanks for the subscription, Janet!) to find fun ways to prepare veggies. And this month's issue just so happened to feature four ways to eat zucchini. It was a summertime miracle. 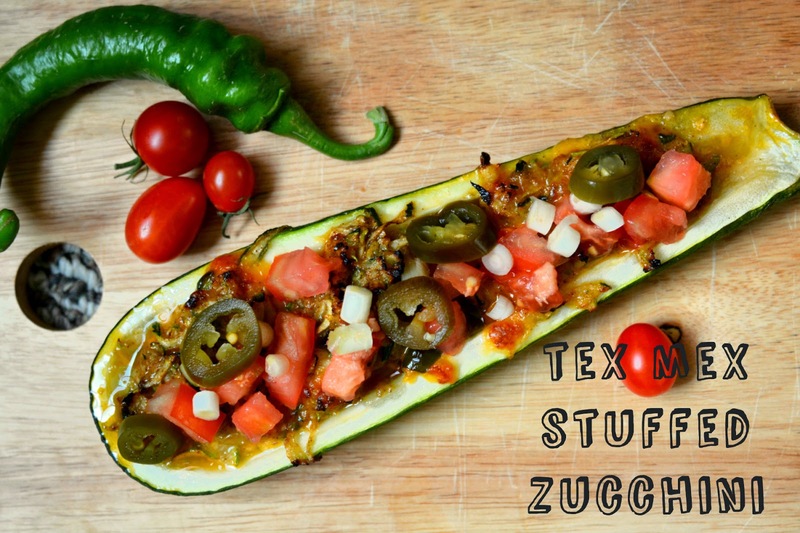 So without further ado, here's a healthy little recipe that got two thumbs up from the farmer, who gulped down an entire zucchini and asked for more. Preheat the oven to 450 degrees F and line a baking sheet with foil. 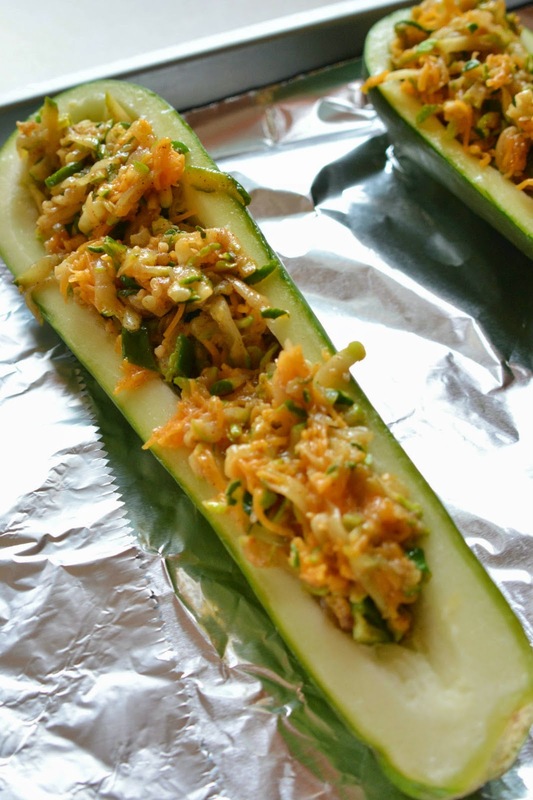 Halve 2 zucchini lengthwise; scoop out the seeds, leaving a 1/4-inch-thick shell. 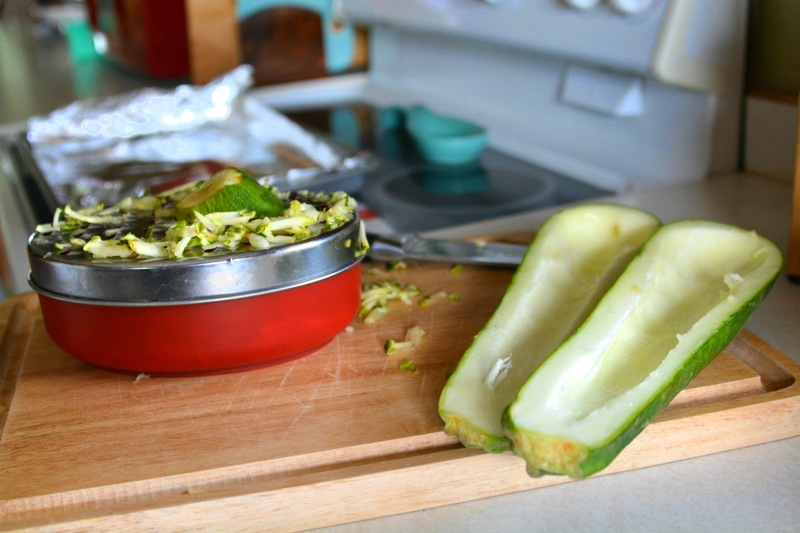 Chop the scooped-out zucchini flesh and transfer to a bowl. 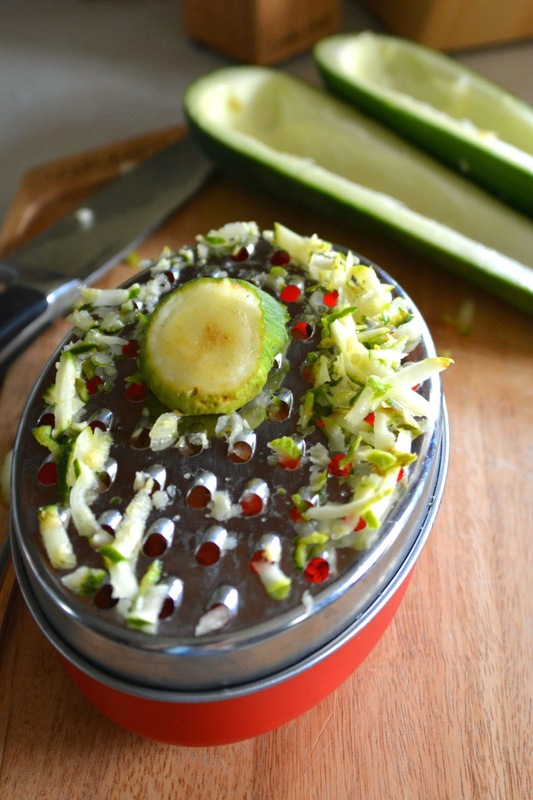 Grate the remaining whole zucchini on the large holes of a box grater; add to the bowl along with 1 teaspoon salt. Set aside 10 minutes, then squeeze out the liquid. Heat the olive oil in a skillet over medium-high heat. 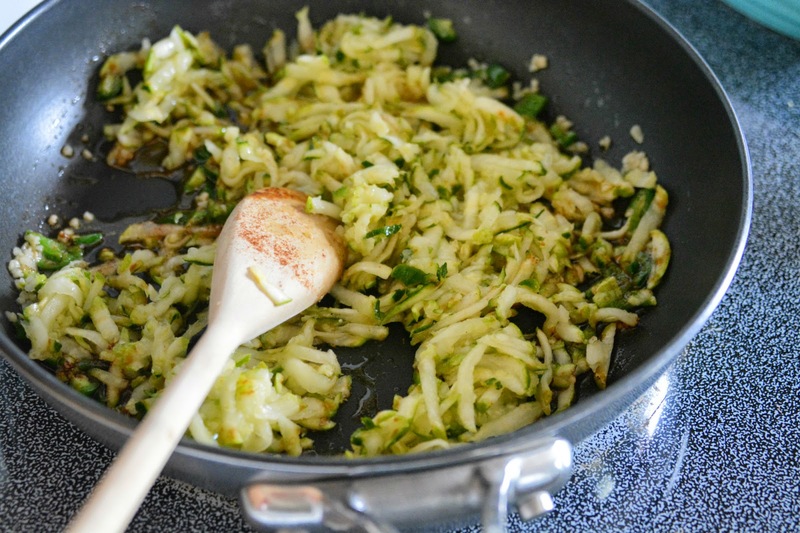 Add the garlic, minced jalapeno, chile powder and grated zucchini mixture; cook until tender, 4 minutes. Let cool, then stir in the cheese. 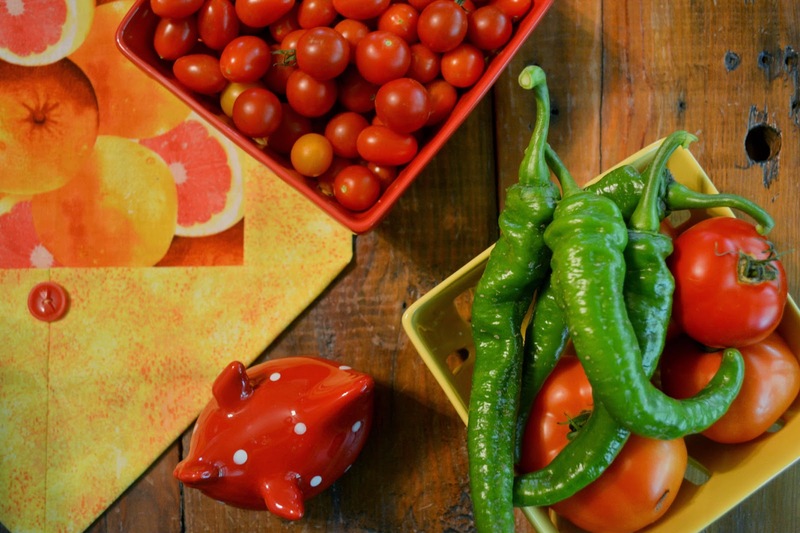 Combine the tomato, scallions and cilantro in a small bowl. 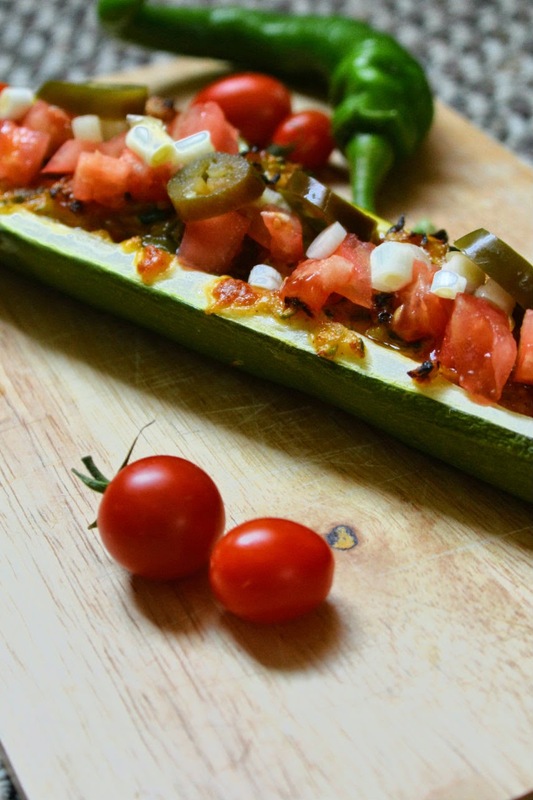 Spoon over the zucchini, then top with pickled jalapenos. Prepare to be amazed. Or to want to eat three of these in the course of one meal. Looks yummy! I will have to try, that is if our zucchini ever grows. The past 2 years, our garden hasn't done well. Especially our tomatoes. Love the post, and the chicken!